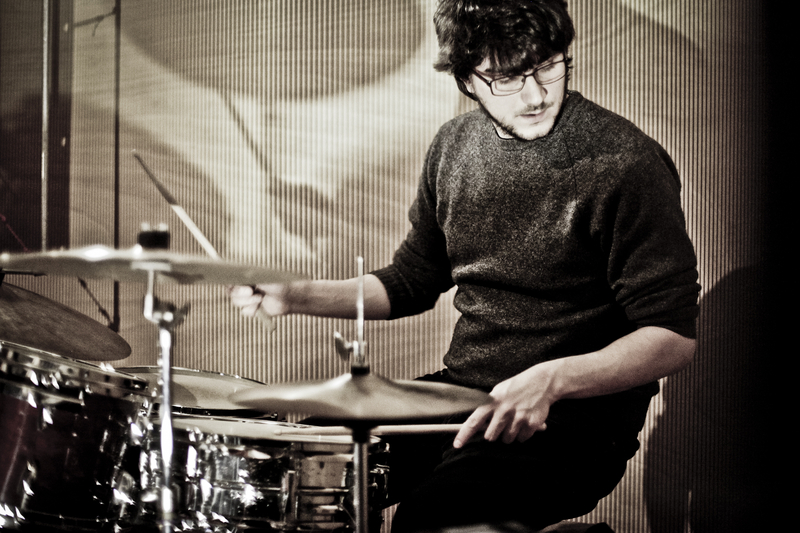 Niccolò started playing drums in his teens and in 2008 had the chance to study jazz drumming in New York City. Back in Italy he continued studying jazz and improvisation with Stefano Battaglia. He enjoys playing both on the jazz and on the rock side of the drums, often trying to merge these different worlds together. He is a member of the italian indie band Margareth, which released two studio albums and various Eps and has toured Italy and Europe. Along with Marco Quaresimin, Riccardo Marogna and Piero Bittolo Bon recorded the album “Apathic Avant Jazz Anthems” for the italian collective “El Gallo Rojo”. He worked, recorded, toured with a lot of different musicians on the fields of jazz, rock and impro. Some of them are Stefano Battaglia, Piero Bittolo Bon, Debora Petrina, Danilo Gallo, Piccola Bottega Baltazar, Elliott Sharp, Nicola Dicroce, Gabriele Mitelli.